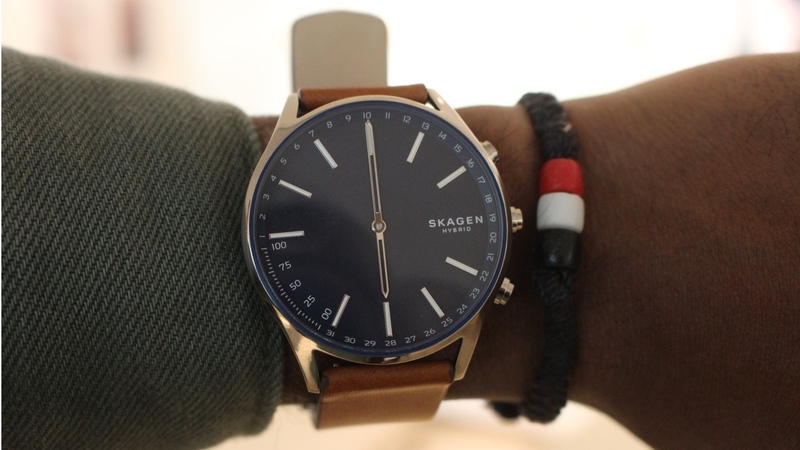 I think it's fair to say that here at Wareable we are big pretty big fans of Skagen's smartwatches. 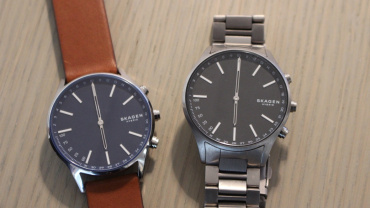 Whether it's the first two iterations of the Hagen Connected hybrid or the Falster, its first Wear smartwatch, the Danish brand that's part of Fossil Group knows how to make a nice looking watch. 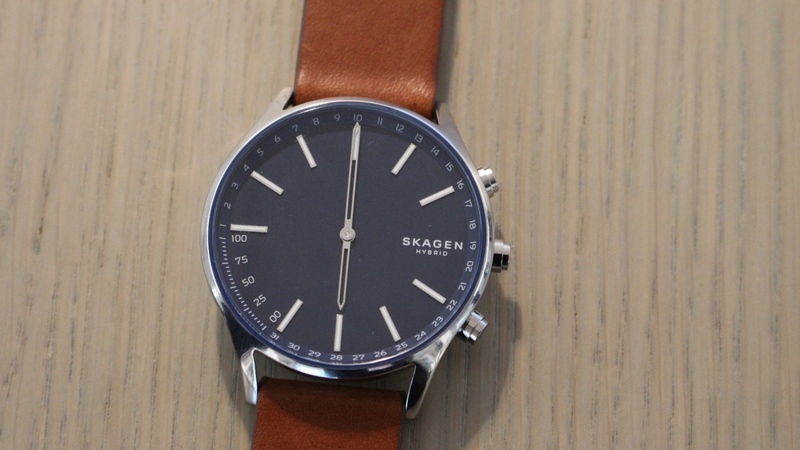 It keeps things minimal and we're all for that. That's why we were pleased to find that Skagen is showing off another hybrid at Baselworld. 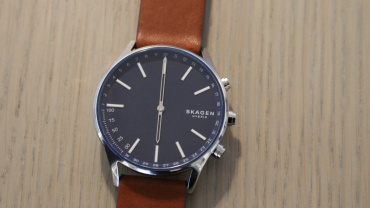 The Holst is based on one of the company's existing analogue watch ranges and is once again adding discreet smarts along with the usual features we've come to expect from Skagen and Fossil's hybrid smartwatch collections. 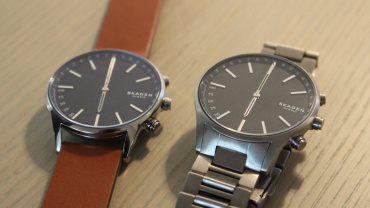 The Holst is set to come in two models; one with a brown leather strap and a blue watch face and a version with a titanium link-style strap with a more greyish watch face. Both have titanium cases, which make them really light. 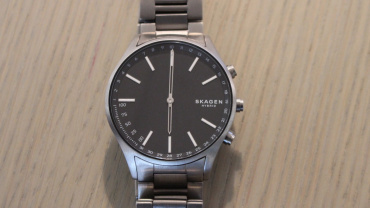 Even the one with the titanium band feels like there's barely anything to it. 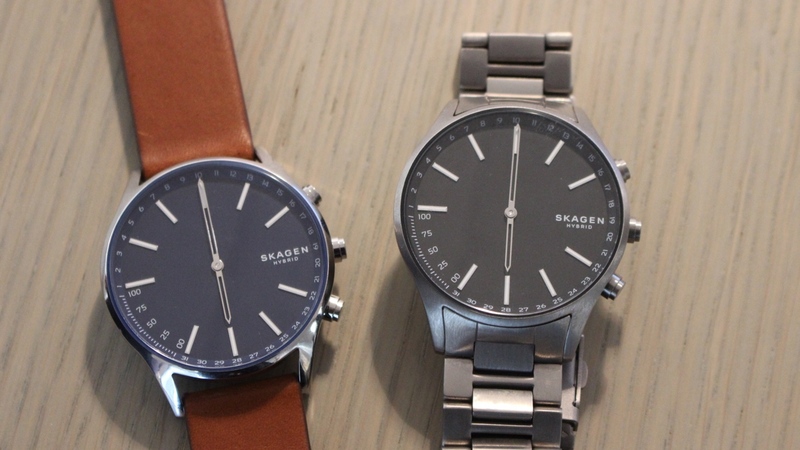 If you like you bit of heft to your watches, then these hybrids are definitely not for you. 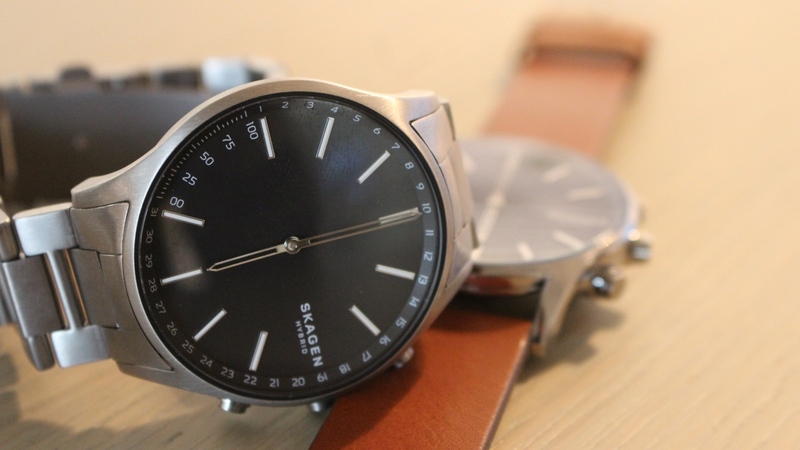 As far as software features go, Fossil isn't saying too much at the moment, but the progress detail inside of the watch face is a pretty big indicator that it will offer some basic fitness tracking. We'd expect it to pack in more of the same connected features we've seen crop up on Fossil hybrids before, too. So, discreet notifications for texts, calls and emails and sleep tracking also in tow. There's also three buttons on the side of both watches, which should allow the user to take control of your music or take a photo. 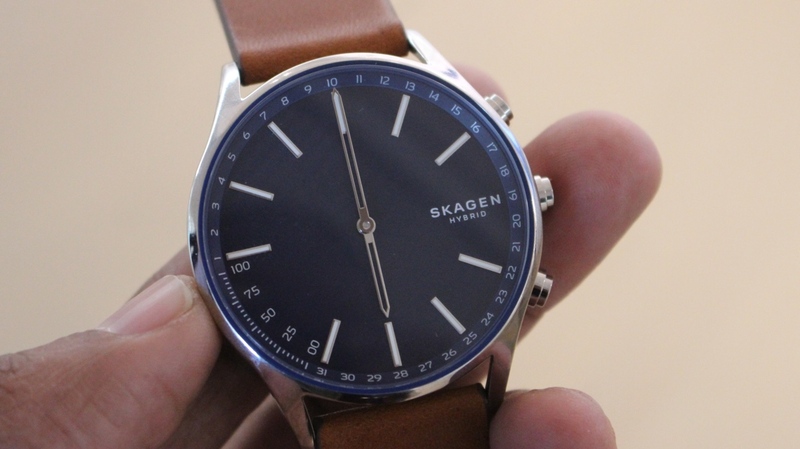 As far as pricing is concerned, the Holst with a leather strap will set you back $175 with the price jumping up to $195 for the version with the metal strap. 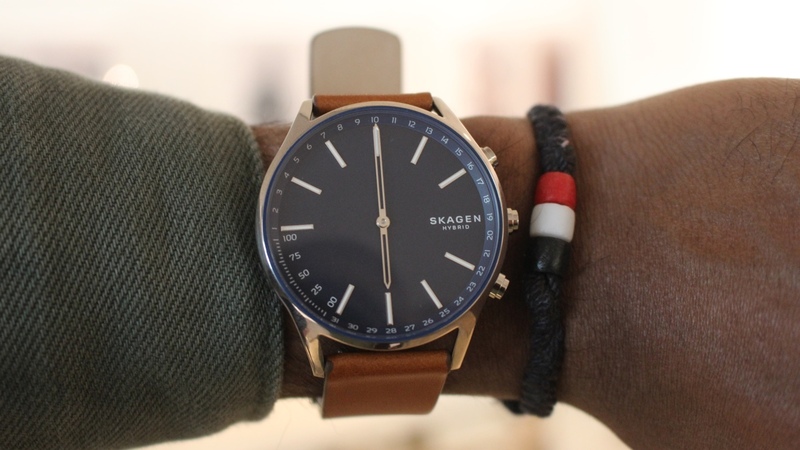 There's no firm details when they are landing, but it appears it could well be over the coming months as part of Skagen spring/summer collection. 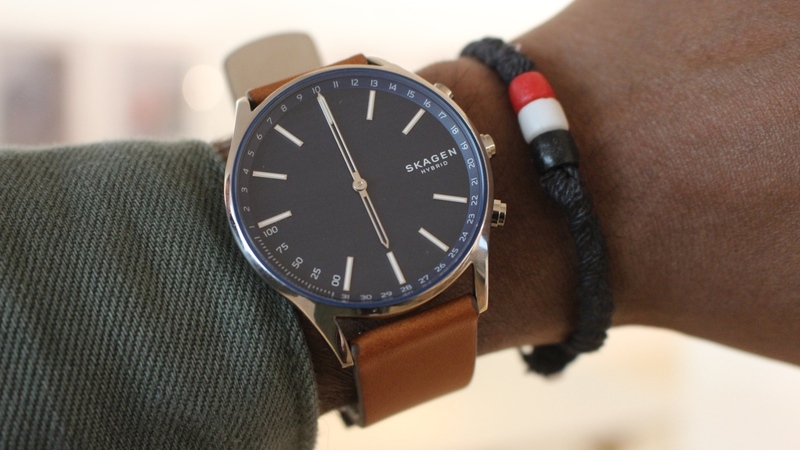 This is one hybrid we are definitely looking forward to spending more time with when it finally lands.